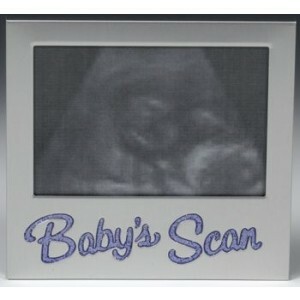 Laquer coated for brush silver finish and tarnish resistant photo frames with Baby Scan message written in lilac glitter. Takes photo size 13cm x 9cm. Actual frame is 14cm wide x 13cm high. Bubble wrapped and boxed. 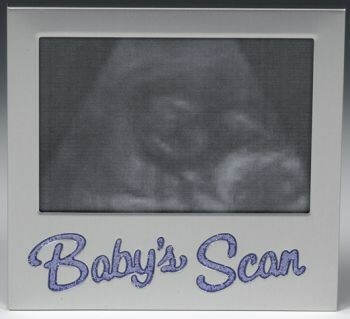 Ideal baby shower or new baby gift. Lovely idea for those who like a bit of glitz and glamour! !